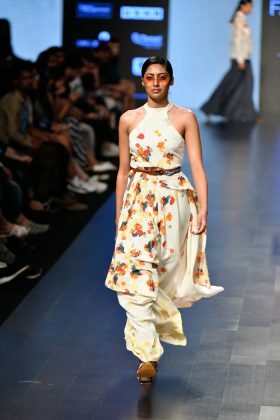 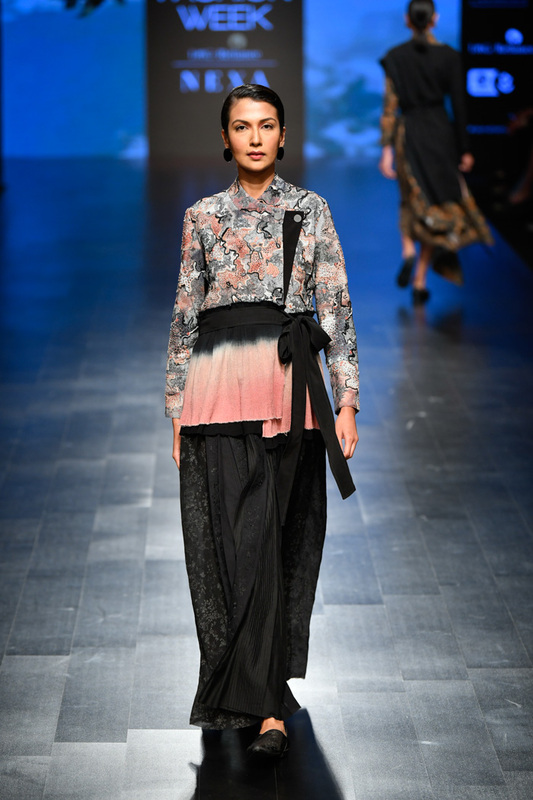 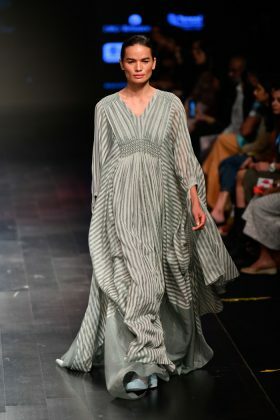 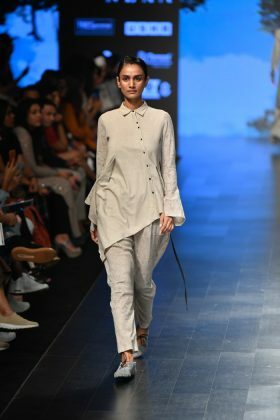 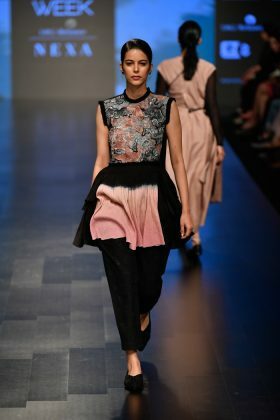 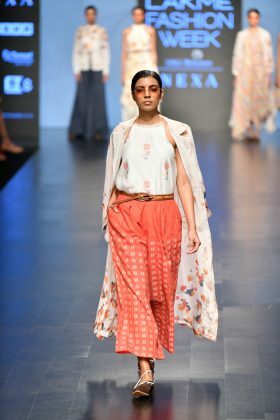 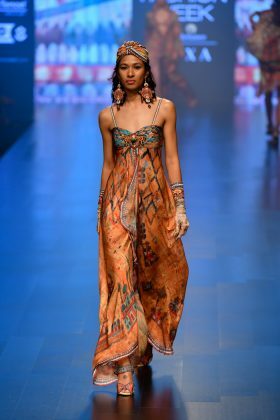 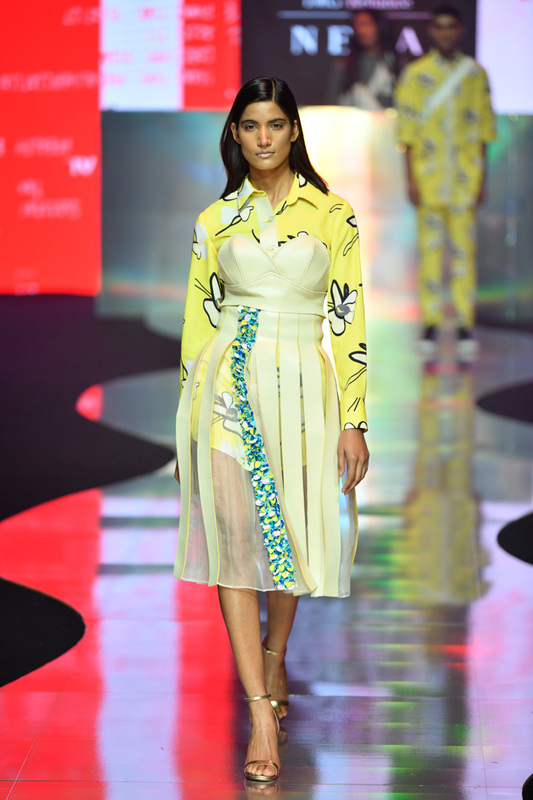 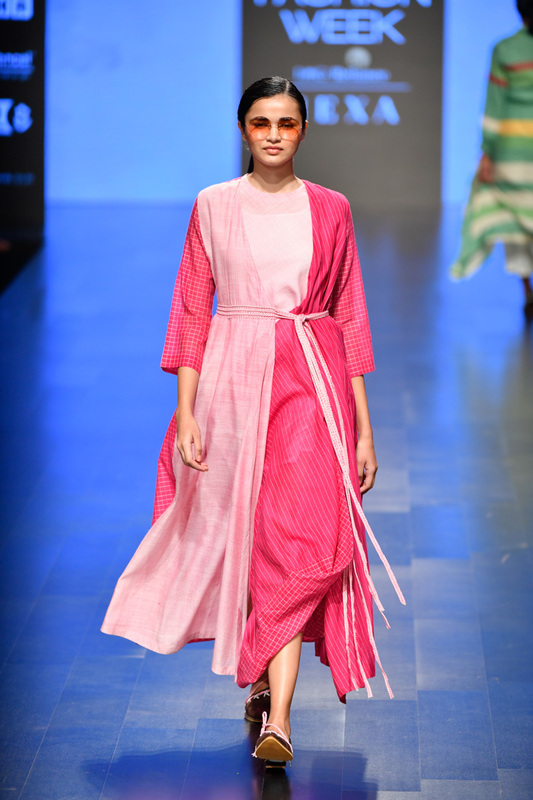 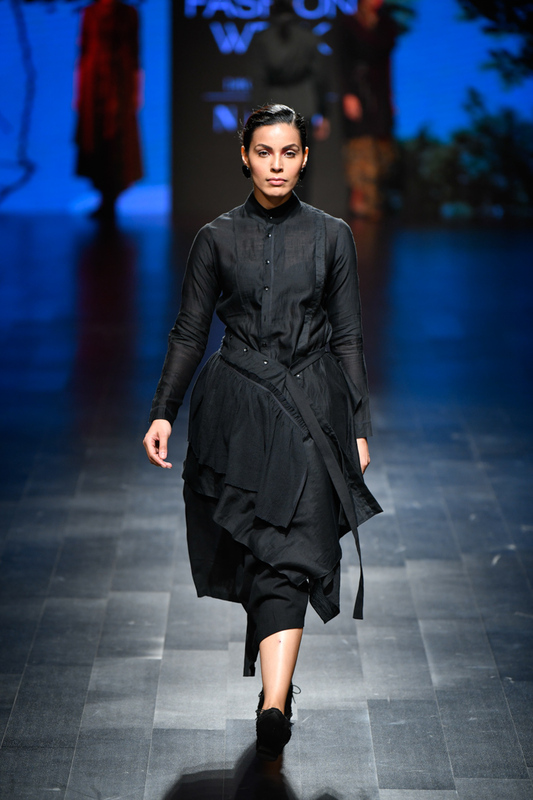 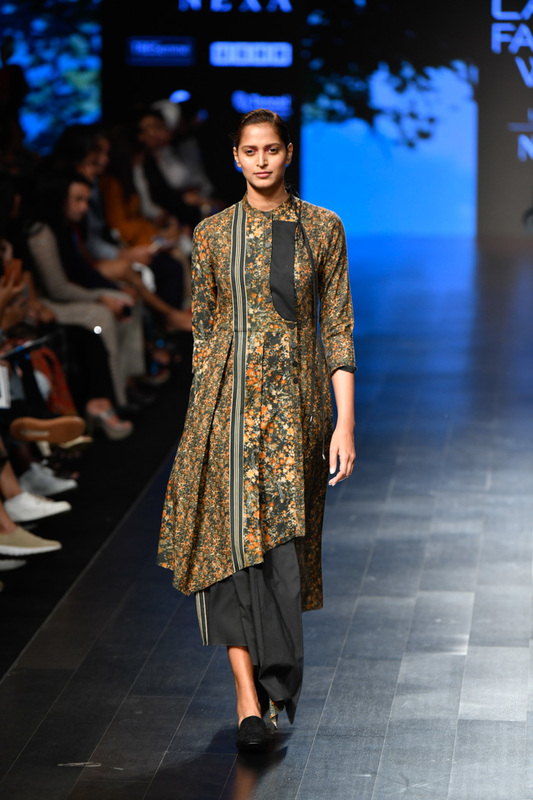 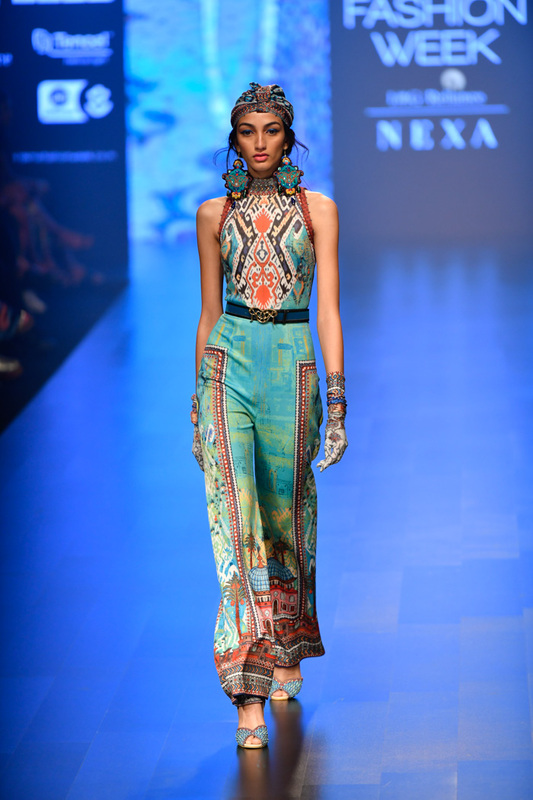 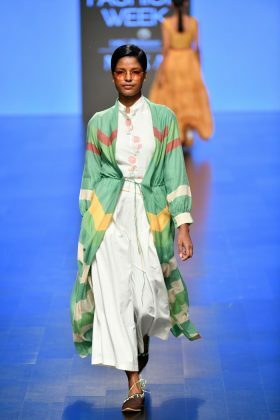 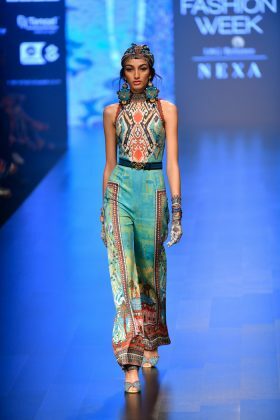 From labels promoting economic and sustainable clothing to a new set of GenNext designers, day 3 Lakme Fashion Week 2019 Summer/Resort is all set to spread glamour with some known designers from the industry as well as there were some new talents showcasing their best designs on the ramp. Here are some of the best highlights from day 3 of the season for which you were looking forward. 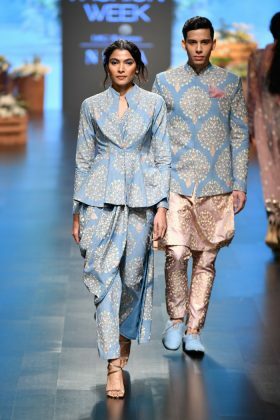 Just check all the outfits and themes designers were working on with their souls in it. 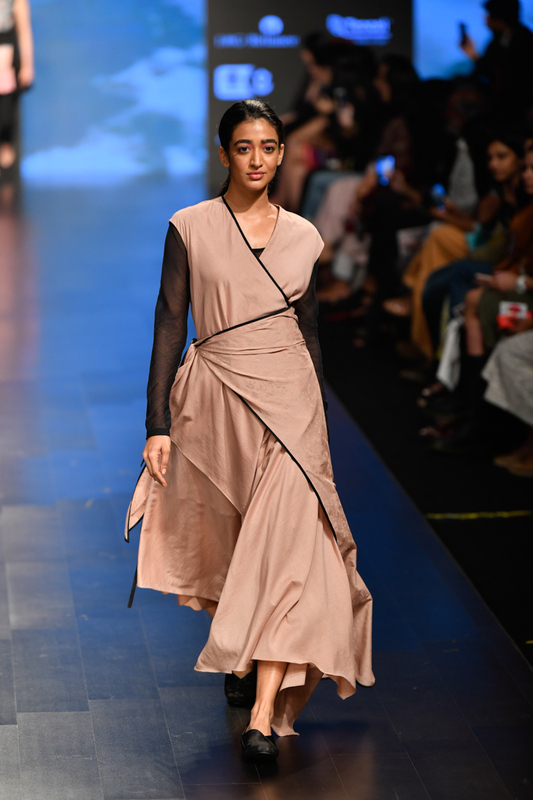 The designer is making a comeback for front slit gowns. Outfits are designer and made with fabrics like cotton and khadi, with a twist of layering which works for everyone. 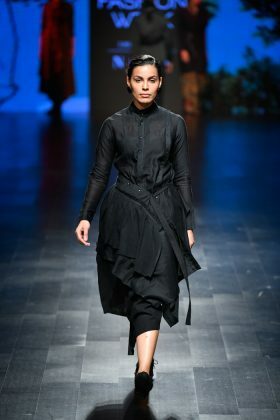 Asymmetrical cuts and closed neck are worth. Everyone will approve these outfit we guess. 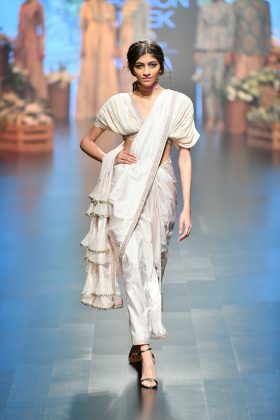 White, sheer and backless!  designer brand Esse has made all the efforts for you to nail your summer look this coming season. 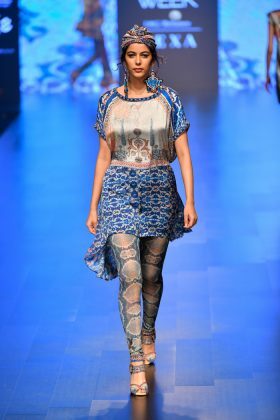 Adding metallics, sequins and bold colours like black have made collection perfect because you can never go wrong once you put them on. 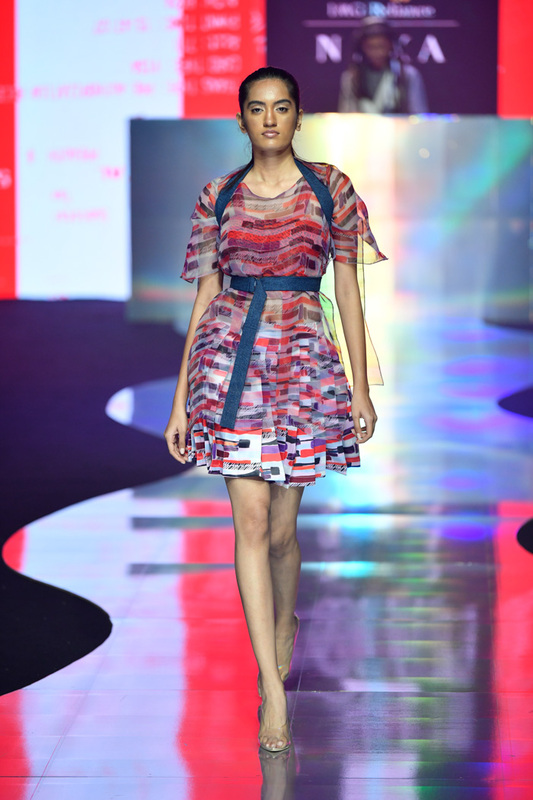 The designer presented a sassy combination which included dresses and boots which means feminine yet powerful. 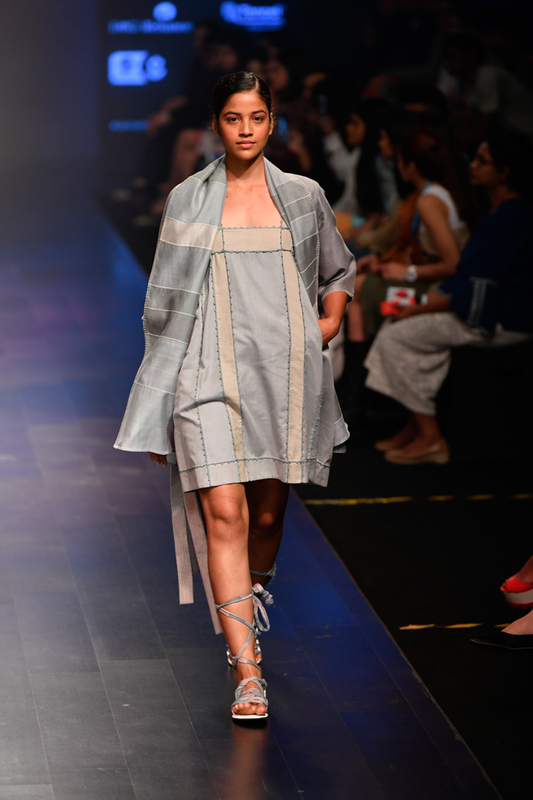 With muted colours, our designer proved that handwoven fabrics have a different sense of charm of their own. They are very easy handle and brings magic when they are weaved sensibly. 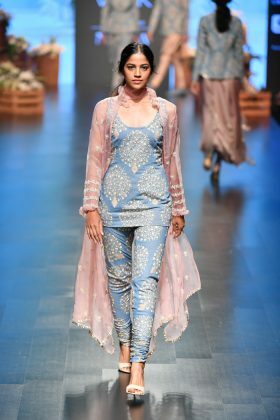 This designer collection by Rajdeep Ranawat was titled Istanbul, the collection was inspired by the glorious life and culture of the city. 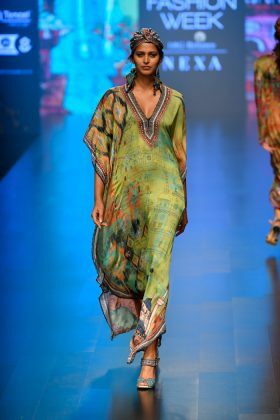 With its bright and shiny aroma of the seas and its beauty of unravelling threads of history intertwined with numerous cultures, the city of Istanbul is a dream that gently folds you in its midst as the twilight twirls. 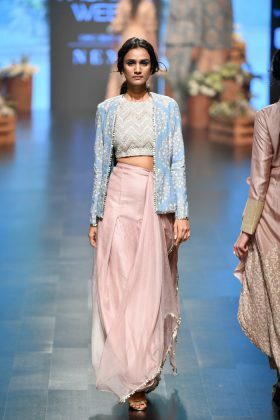 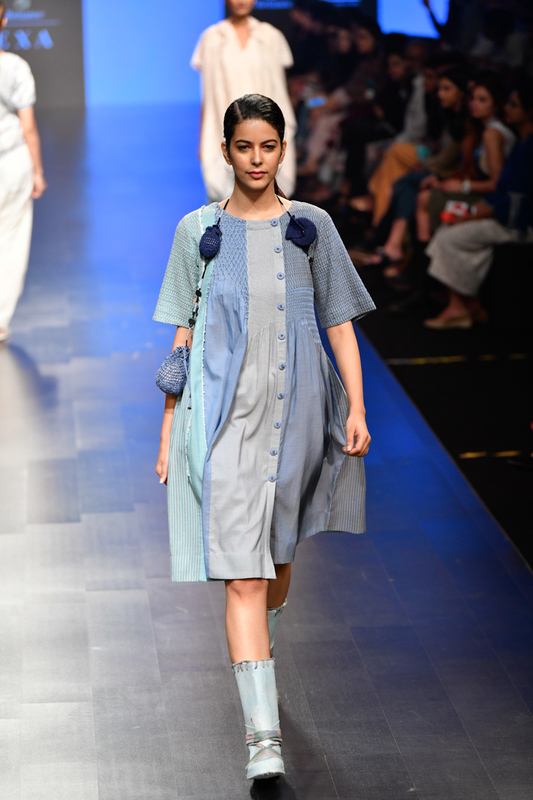 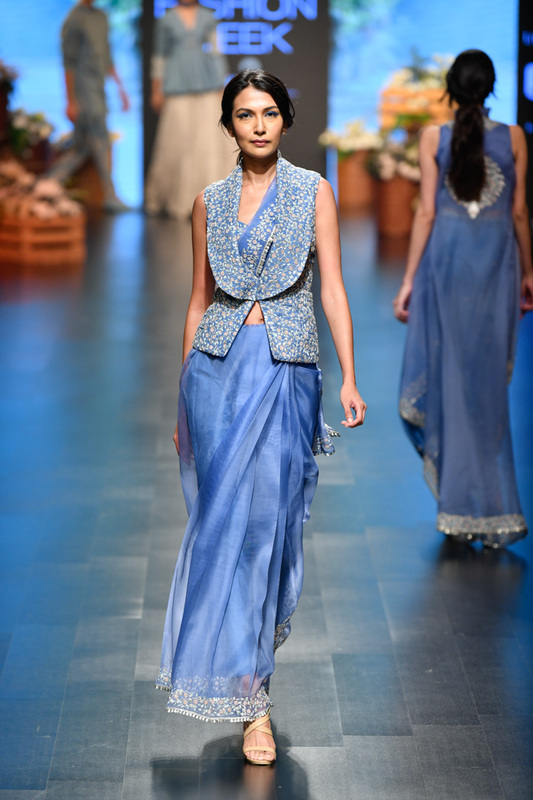 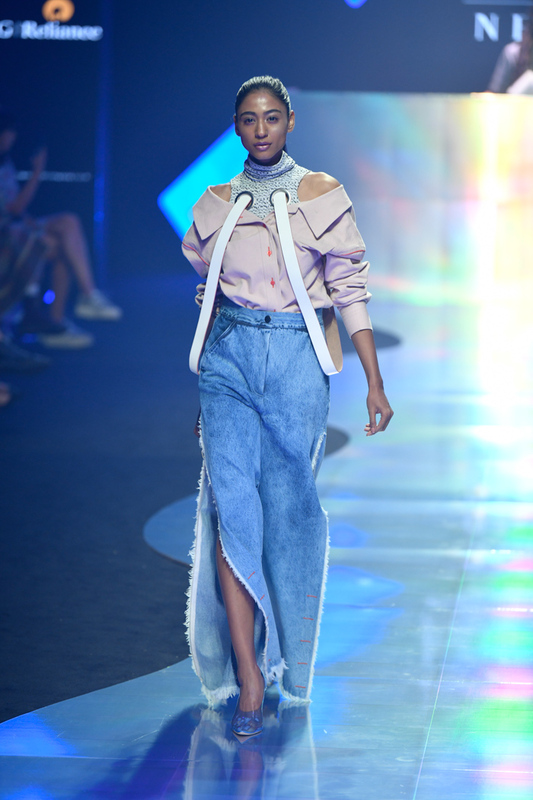 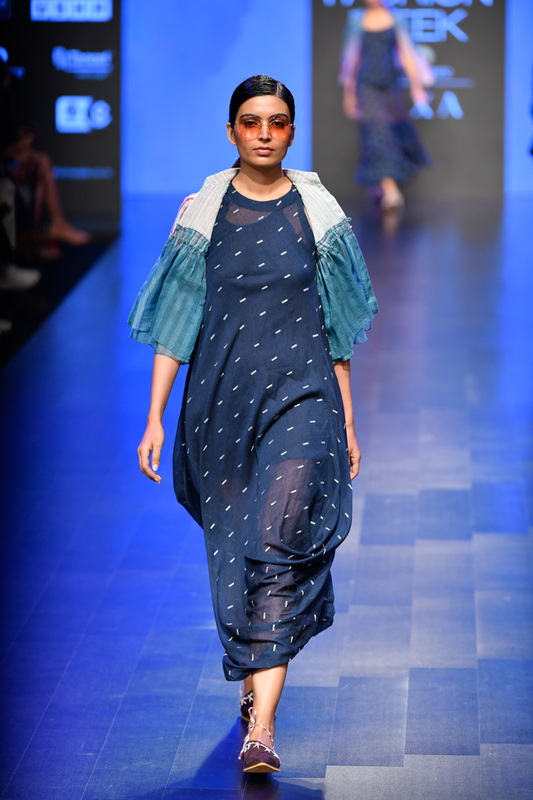 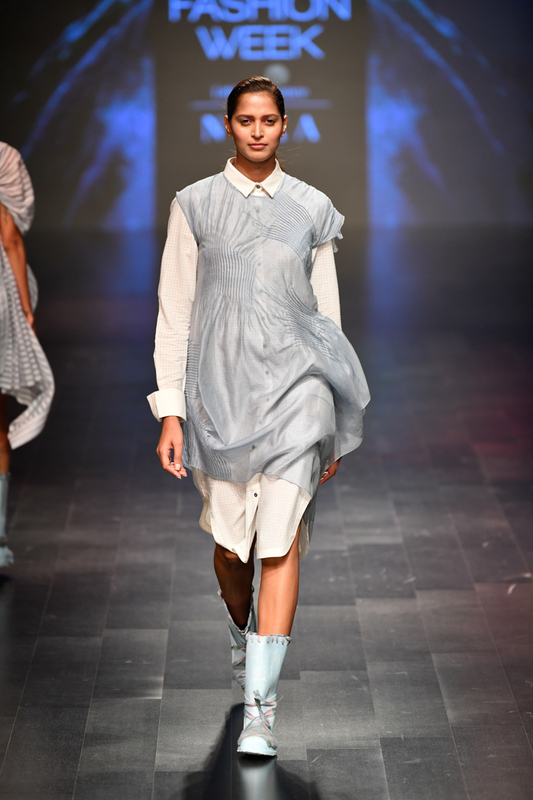 The designers showcased modern silhouettes with traditional embroideries with easy and mineral blue colours which redefined elegance and beauty of denim as a fabric. 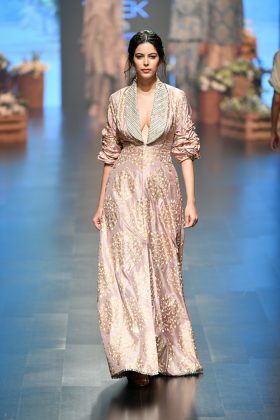 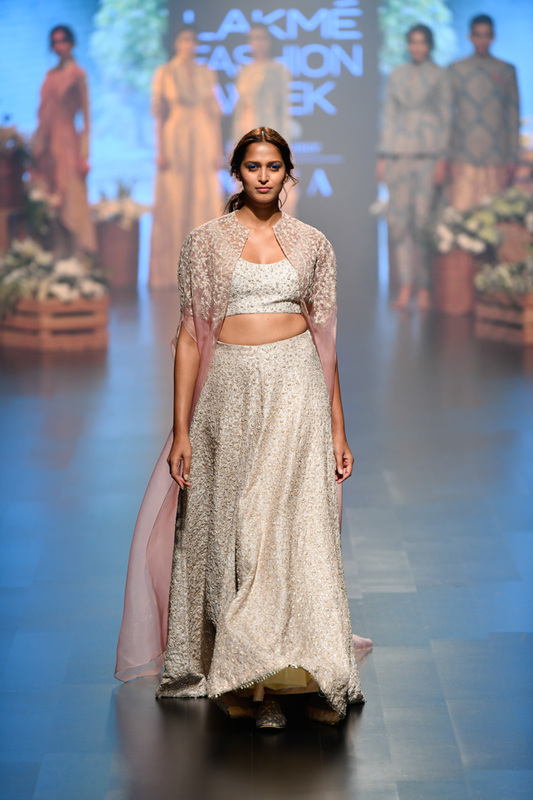 The collection showcased festive ethnic wear in subtle pastel colours. 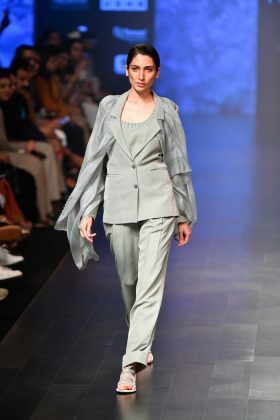 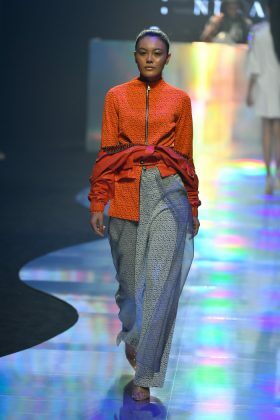 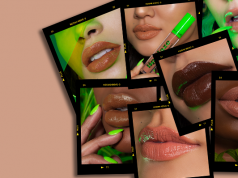 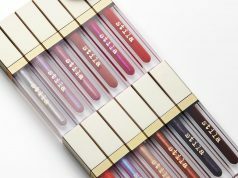 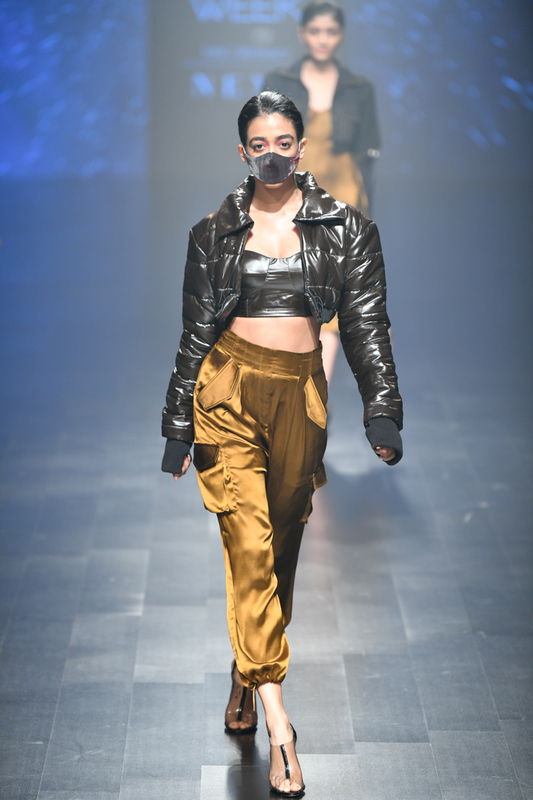 Through her use of bold hues and maximal aesthetic, made the audience sit up and take notice as models walked down the runway wearing dresses with sheer layers and checked pantsuits with slogans like “Sensor Is Tripped”, “Don’t Cash Feelings”. 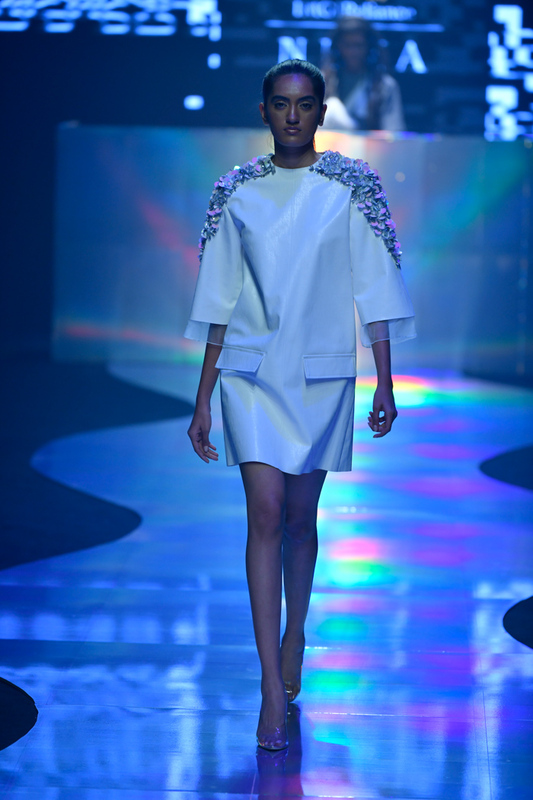 The collection was designed taking inspiration from French architecture. 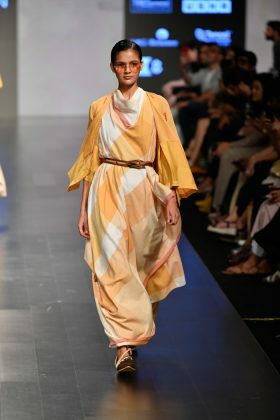 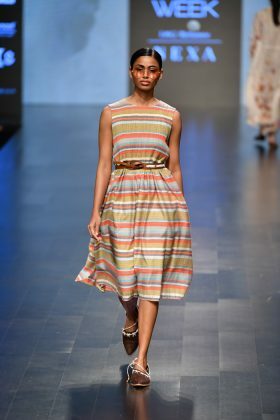 The collection featured easy-breezy dresses with overlays in summery shades of yellows, corals, pinks and blues, making it an ideal pick for a relaxed summer day.